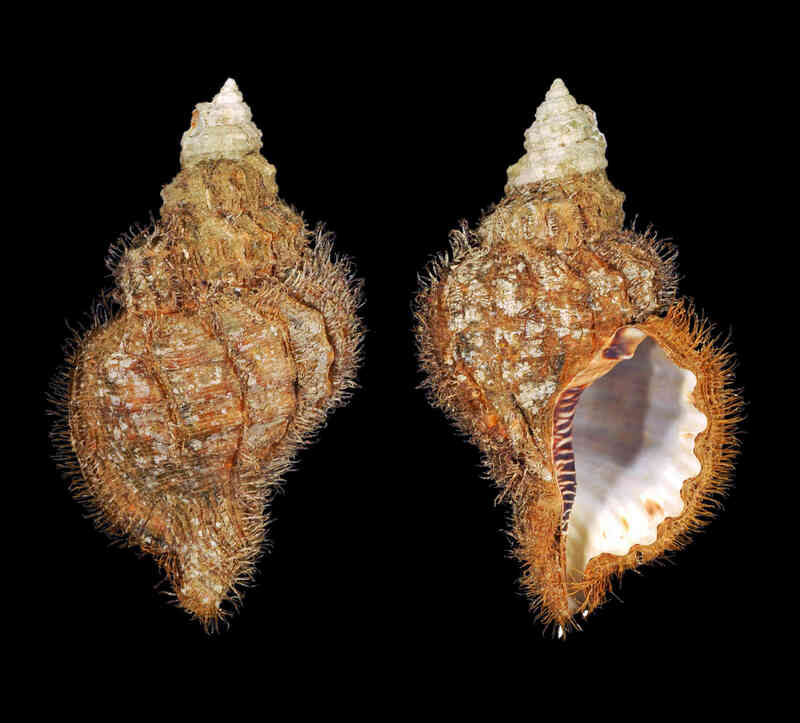 Shell size to 180 mm; shell with large last whorl. Strong spiral cords and axial ribs crossing to form coarse reticulated sculpture. Sculpture hidden by heavy, brush-like grayish-brown periostracum. Aperture with thick, wavy outer lip and parietal wall with strong white plicae on a mahogany-brown background. Shell color light-gray to light-brown, sometimes with spiral bands of darker hues. A widespread, opportunistic species that may appear and disappear along parts of the distribution range. Long-lasting pelagic larval stage present, as in other ranellids.